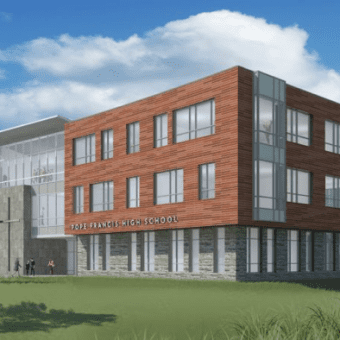 Pope Francis High School in Springfield, MA, is designed as a 21st Century learning community for 450-600 students and is the merging of two Catholic high schools in the area: Cathedral High School & Holyoke Catholic High School. 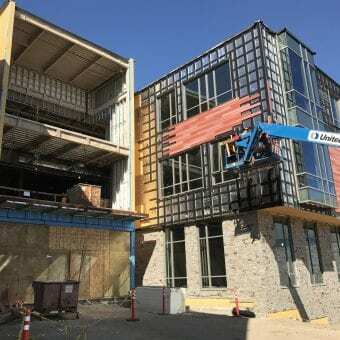 The former Cathedral High School was severely damaged by a tornado in 2011 and was subsequently demolished to make room for a new 117,000 square-foot school on the 30-acre site. The school comprises one large building, along with a football stadium, practices fields for baseball and softball, tennis courts, a concessions/maintenance building and outdoor terraced seating for students. 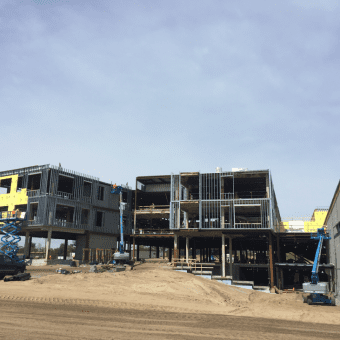 The four-level building (including lower level) includes classrooms, a makerspace lab, a 500+ seat auditorium, cafeteria, teacher workrooms, and administrative/advancement offices. 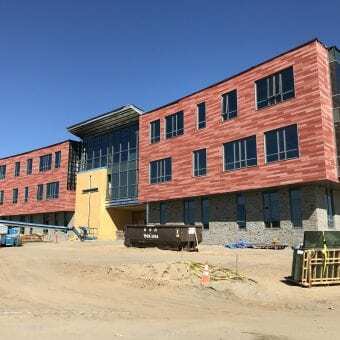 Bourassa said Knight’s HCI System was also used for metal panel and metal siding on other parts of the main building, gym and theater buildings.